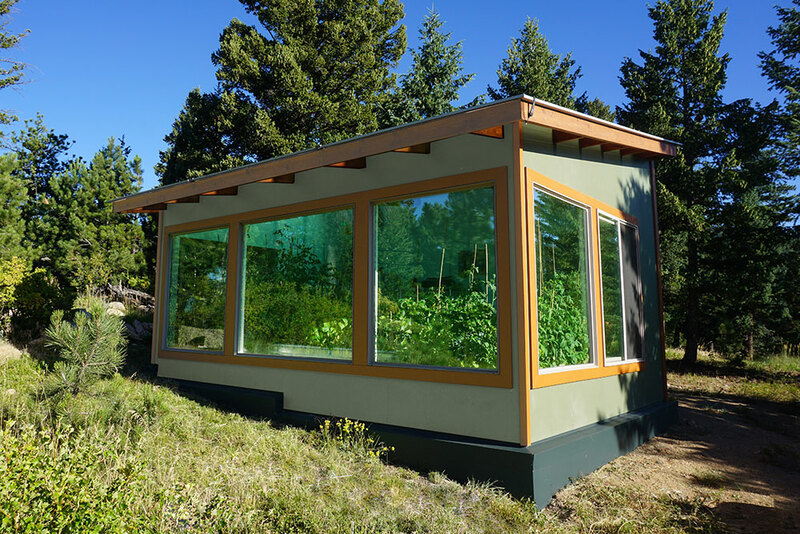 The best angle for greenhouse glazing in the roof is not as clear cut as some solar greenhouse designers make it sound. 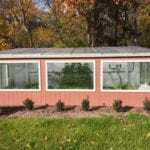 Solar greenhouse designers often cite a rule of thumb along the lines of: To find the “best” angle for a greenhouse roof take your latitude and add 20 degrees.While the logic behind this rule is sound, it is a dramatic oversimplification that can lead to costly and unnecessary decisions to build very steeply angled roofs. 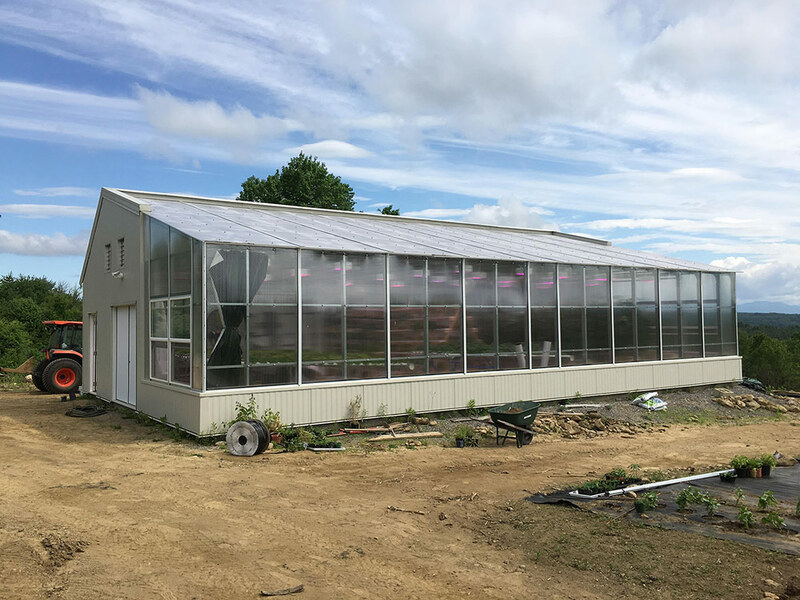 Below, we explain how to find the range of angles that will yield adequate light in a year round solar greenhouse. 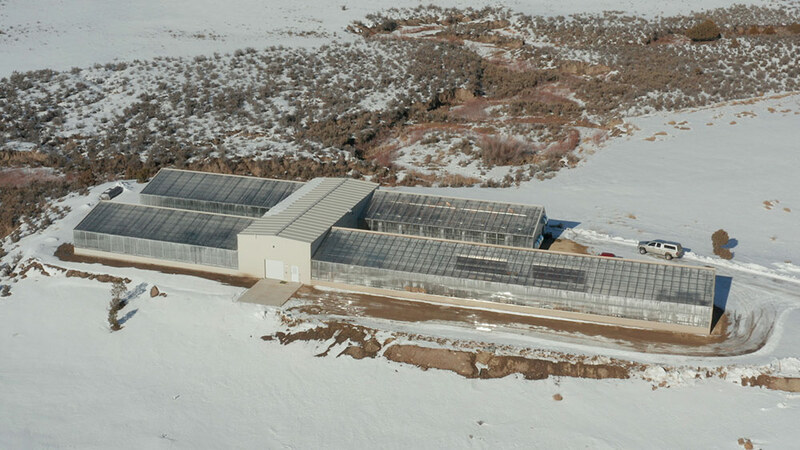 For more on this topic, please see The Year-Round Solar Greenhouse. First, why does this rule exist in the first place? 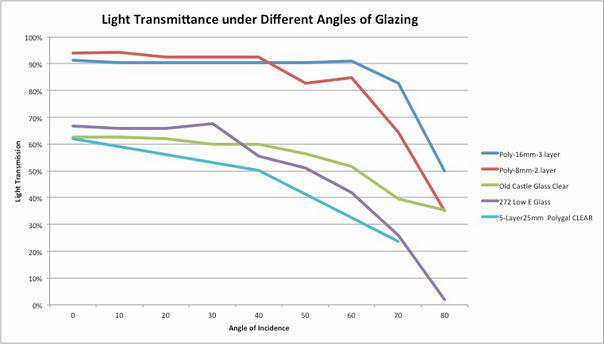 The background premise is that the angle of a glazing material — like glass or polycarbonate — affects how much light is transmitted. 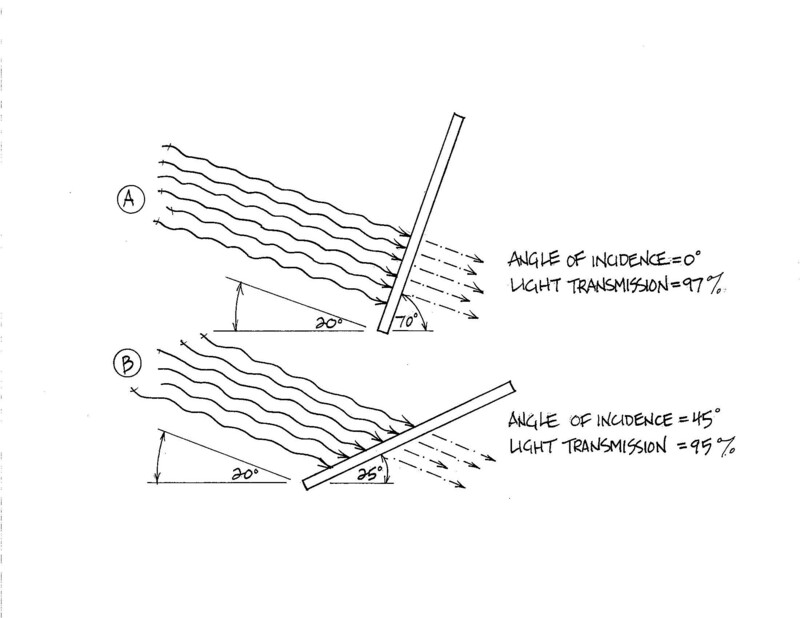 The angle of a material, relative to light is often called the angle of incidence, and plays a role in light transmission. When a ray of light hits a surface straight on, or perpendicular, to the material, the maximum amount is transmitted. 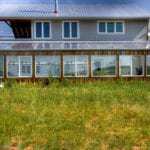 For single pane glass, for example, this is usually around 90% (the other 10% is reflected for absorbed as heat be the material). When a ray of light hits the surface at a very severe angle, some of the light is reflected off the surface instead of transmitted. 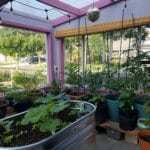 When the angle is severe much less light enters the greenhouse. 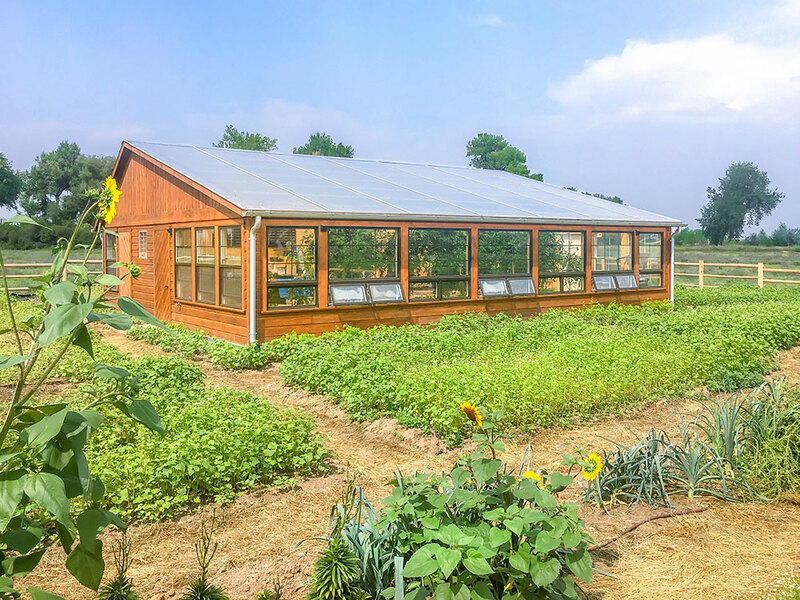 Many greenhouse designers grasp this but fail to realize that this relationship — between the angle of a roof and light transmission — is not linear. There is very little difference in light transmission as you decrease the angle away from perpendicular, up until a certain threshold. Across all materials, this threshold is around 45-50 degrees away from perpendicular. 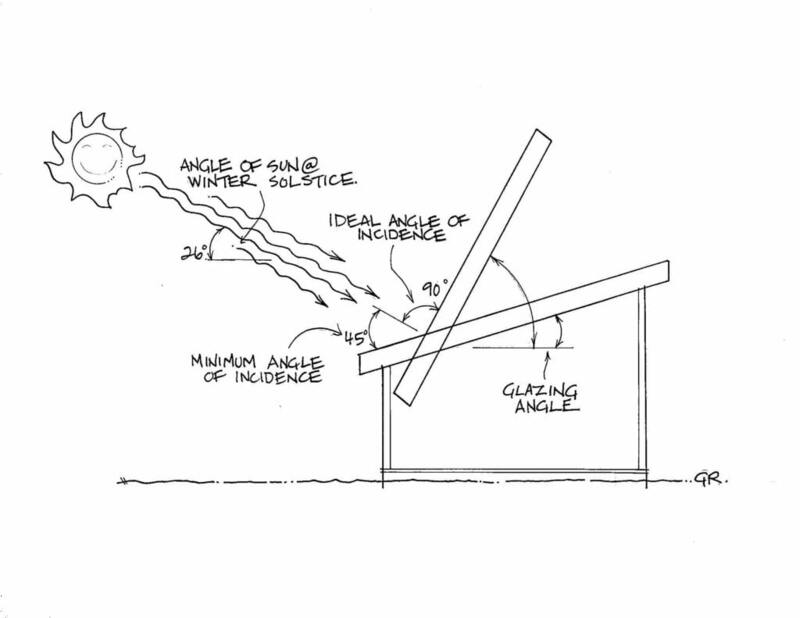 To put this another way, you can tilt a roof angle about 45 degrees away from the optimal angle (the perpendicular angle to the sun) without significantly affecting light transmission. (Significant here means less than an 8% change.) 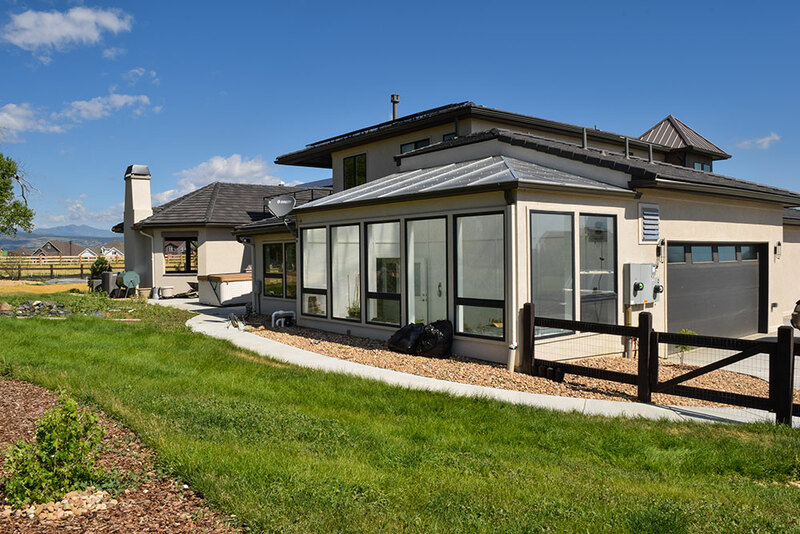 So shallow-angled roofs do not affect light transmission due to light reflecting off, as long as they are not super-shallow (over 45 degrees away from perpendicular). Why does this relationship matter? 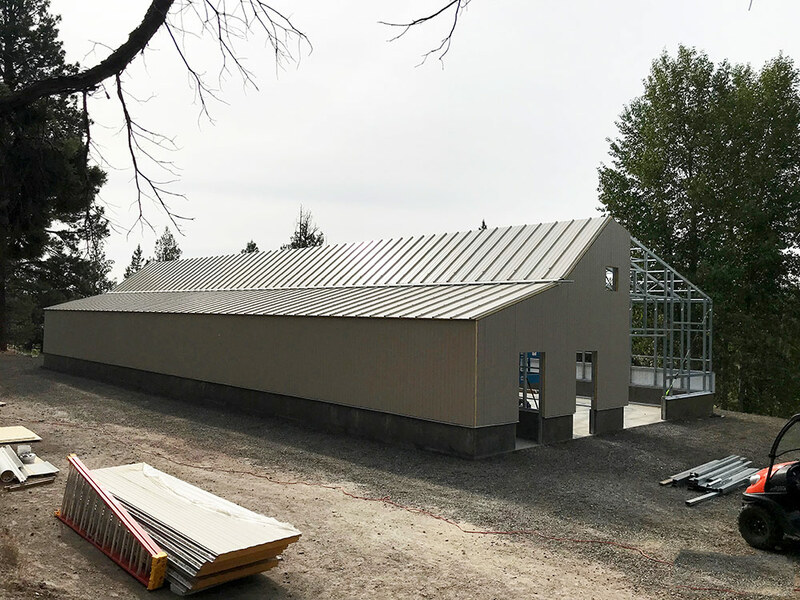 If you stick with just the simple dictum — to maximize transmission by creating a perpendicular angle — you will likely end up building an extremely steep roof, and very tall greenhouse. This isn’t necessary for sufficient light transmission. For example, on winter solstice in Denver, Colorado (40 degrees latitude) the sun is roughly 30 degrees above the horizon. According to the conventional rule of thumb this would require roof glazing to be about 60 degrees off the horizon (40 +20 = 60). 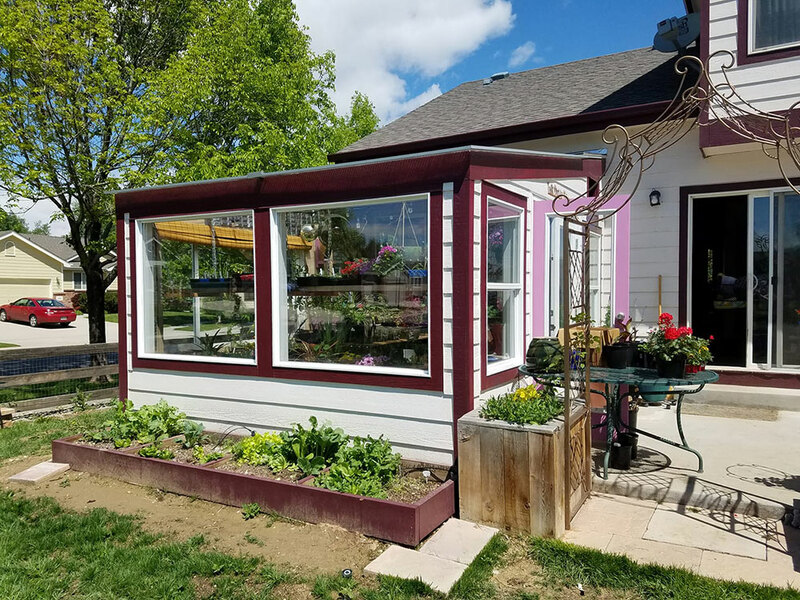 If you sketch that out on paper, you’ll see that a roof angle of 60 degrees requires a very tall North wall or an altered plan for the greenhouse. The graphic below helps flesh this out. Take your latitude and add 20 degrees to achieve an angle that is roughly perpendicular to the angle of the sun during the winter season. Then subtract 45 degrees from this number. This gives you the minimum angle that will transmit the majority of light without significant losses due to reflection. A sketch, like the one below, usually helps to visualize this range. 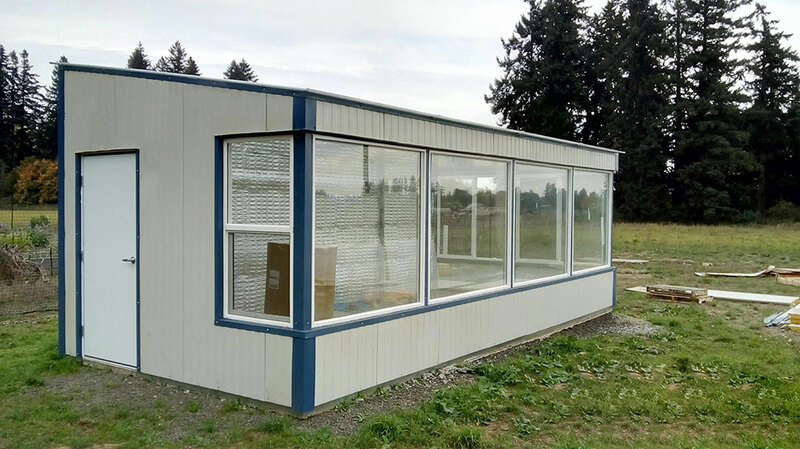 That is the first half of the picture.The second half has to do with the geometry of the greenhouse and the area of glazing. These are also determined by the angle of the roof. As you can see in the examples below, a very steep roof pitch will create a very tall building with a much larger glazing area. 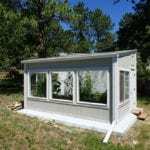 A larger glazing area will collect more light and heat, by creating a larger area of glazing. You can see this by comparing the area of the lines (representing light) in the graphic above. 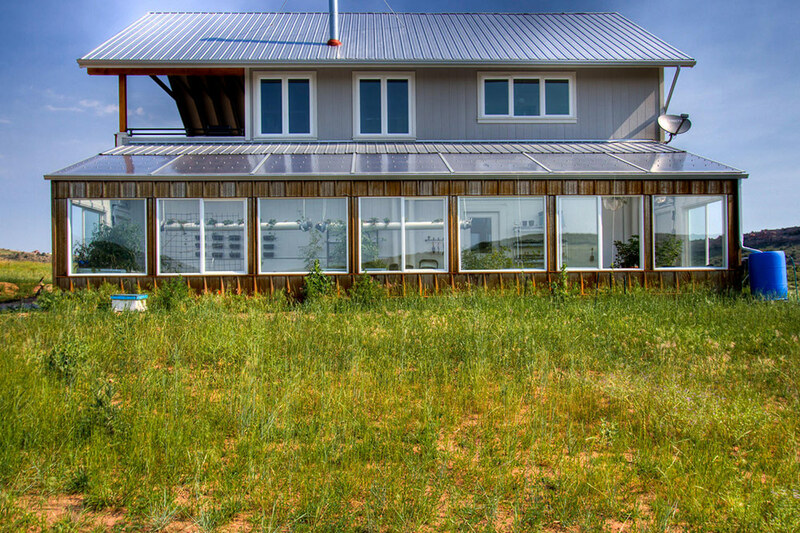 The steeper angle of a greenhouse roof has a greater area that is exposed to the sun. How do you incorporate this consideration? 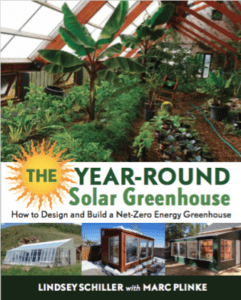 It’s true you can build a larger solar greenhouse and collect more light. 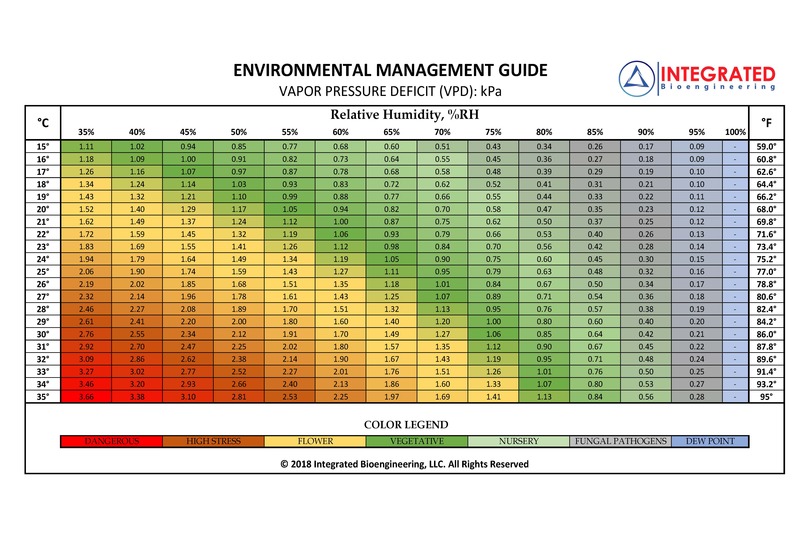 However, think about the ramifications on material use, costs and aesthetics. 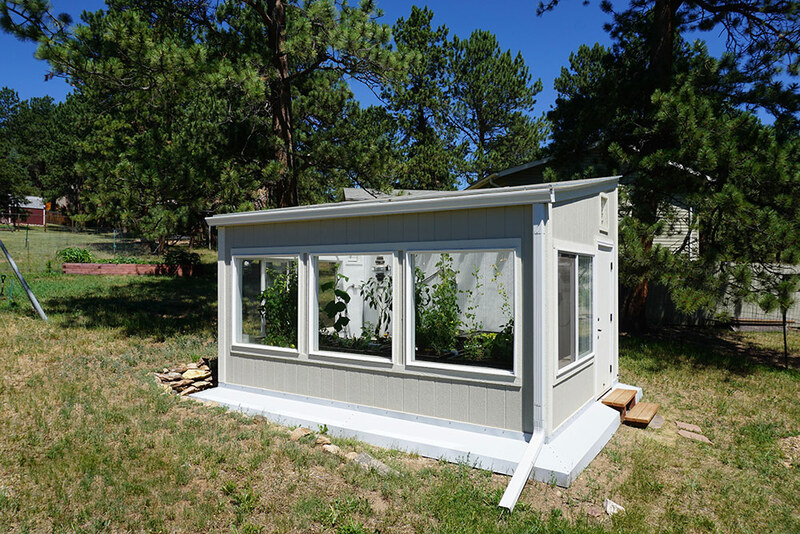 A 20’ tall building will collect more light than an 10’ tall greenhouse, but may not be desired by neighbors or building codes. 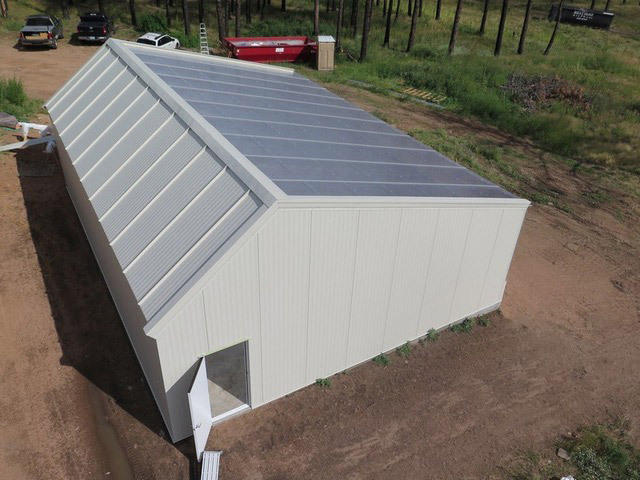 We recommend choosing a practical height, usually a maximum of 9-11’ for residential solar greenhouses, and then using the adjusted rule of thumb to ensure that the glazing meets the minimum pitch for light transmission. You can also change the height of the south-facing wall to alter the angle. 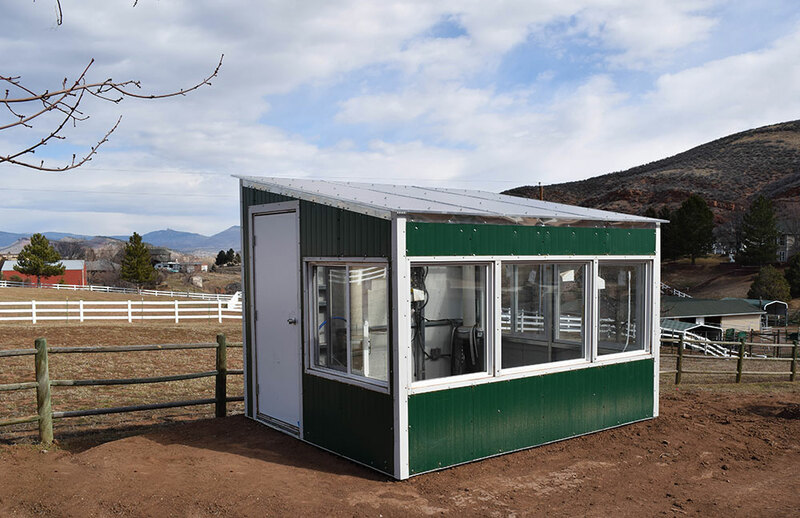 Again, we recommend starting with practical considerations like how much head room you need. 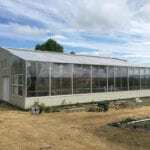 Greenhouse shape – a steep roof may necessitate a more complicated building design to avoid an extremely tall building. 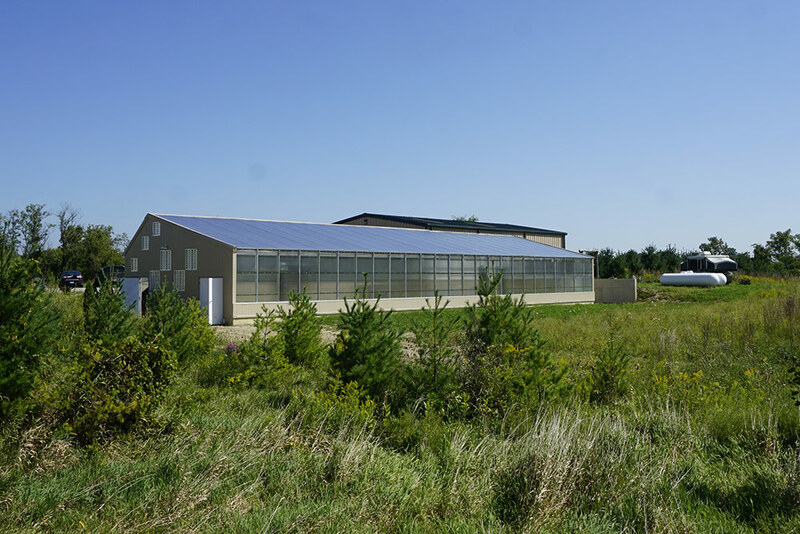 There are a variety of solar greenhouse designs, including A-frames, shed roofs, and gable roofs, described in more detail in The Year-Round Solar Greenhouse. 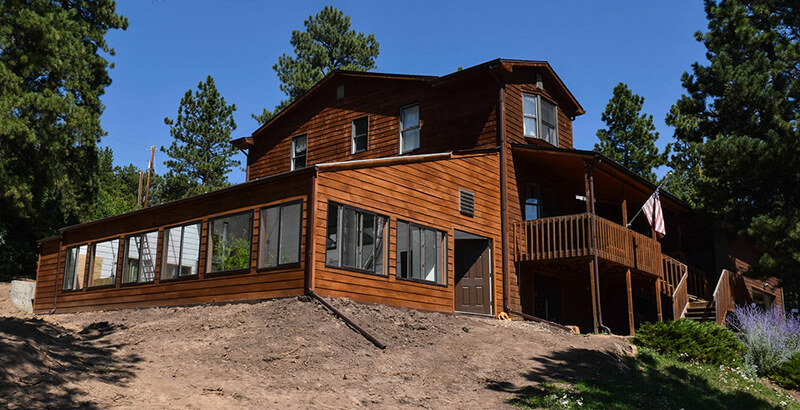 Some are easier to use steeply sloped roofs than others. 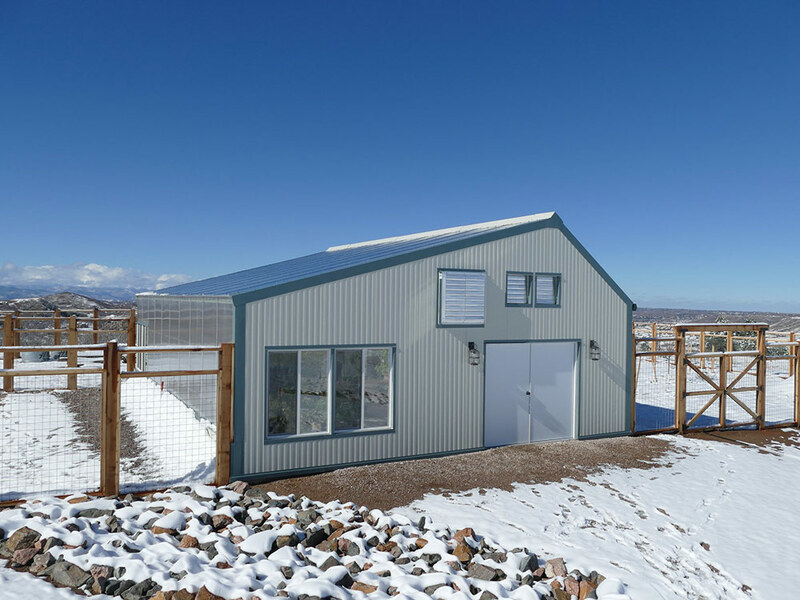 We’ve seen a lot of questions online asking how to choose the optimal angle for a year-round greenhouse with passive solar greenhouse design. We hope this provides some clarity. 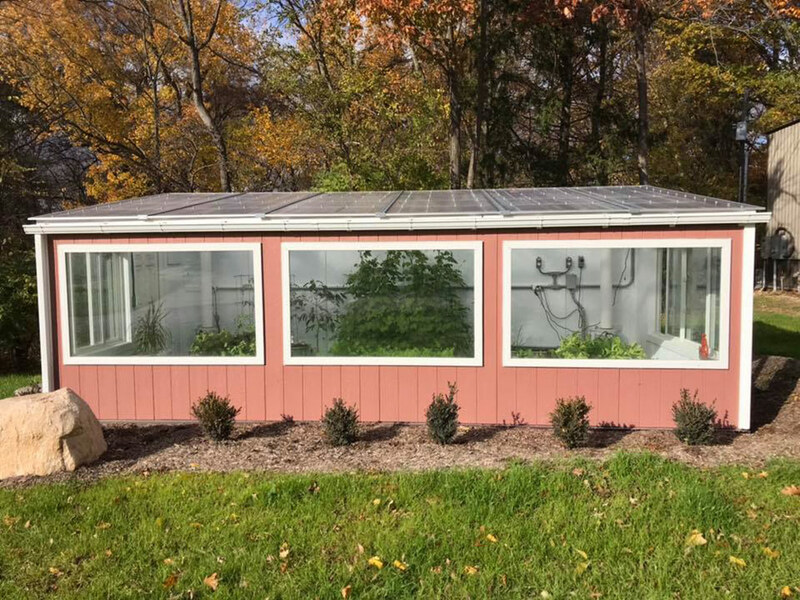 Questions on solar greenhouse design? Thoughts for future blogs? Let us know: info@ceresgs.com.